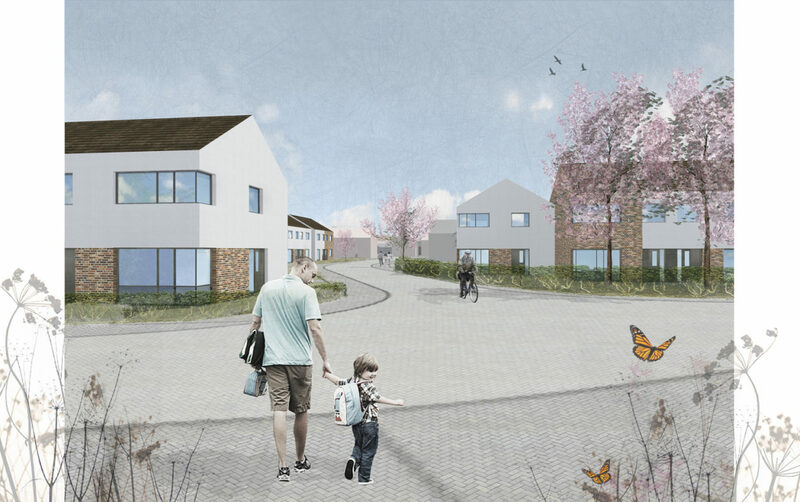 Competition entry for the third phase of Home Group Scotland's regeneration project at Mill O'Mains, Dundee. 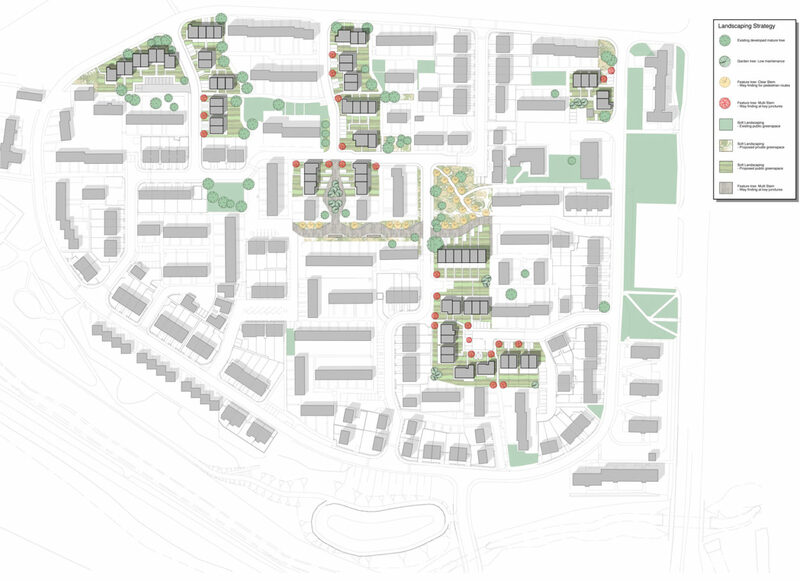 Consisting of 70 dwellings on Hebrides Drive, Lewis Terrace, Lismore Terrace, Harris Terrace and Foula Terrace. There was an interesting potential to include the reprovision of shop units within a community Hub along with improvements to amenity landscaping, key to unifying all three phases around a village green. - Articulate building corners to lead and inform both residents through key connections. 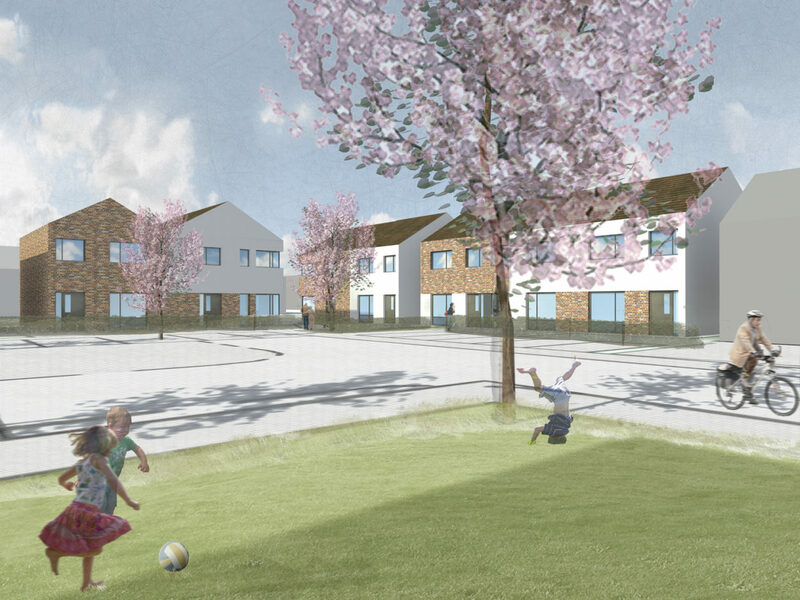 - Restrict connection roads within the phase 3 to simplify hierarchy and place more emphasis on pedestrian and garden space particularly at Lismore Terrace. - Provide a clear method of traversing the full development for different tenure groups. - Identify the purpose of main public spaces as part of an over arching full landscape strategy. Elevational treatment - Strong brick features expressed to corners and boulevard elevations. This will establish clear markers and guidance for pedestrian and vehicular movement routes, linking all phases together. Wayfinding - Large dwellings have been located at key corners, and at important green connectors, specifically placed to direct pedestrians to points of interest. Dwelling types - Generic dwelling types will have unique architectural features added in line with our wayfinding proposals. 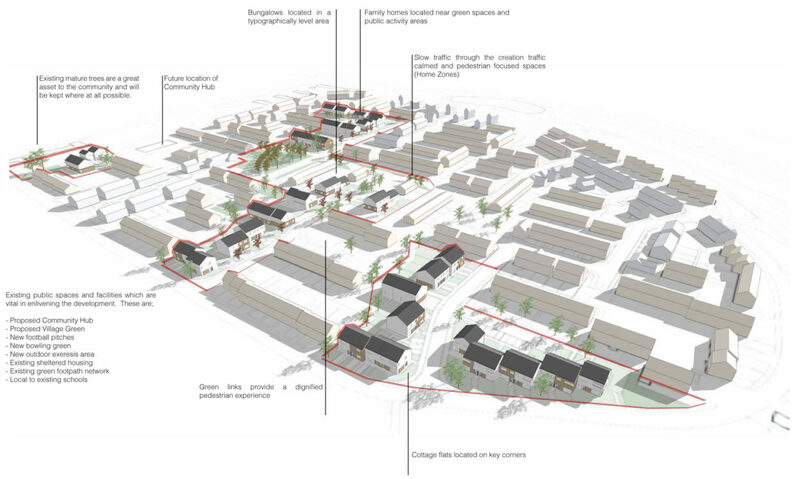 Where possible, dwellings have been orientated to exploit solar orientation. Where this has not been simple to achieve, roof pitches have been rotated to create architectural features along key routes, allowing for maximum exploitation of solar performance.